Pretenders rocker Chrissie Hynde has a reputation for being mercurial in concert. Words like "friendly," "playful," "smiling" and "happy" are rarely used to describe the veteran star’s stage demeanor. She was all of those things on Monday night at the sold-out State Theatre in Minneapolis – and terrific. As good as ever. And she’s been on tour with one version or another of this Rock and Roll Hall of Fame band since 1979. Not only was Hynde in a good mood and consistently outgoing, but her voice was outstanding and her four-man band was lean and potent. Come Dec. 31, this will rate as one of the best rock shows staged this year in the Twin Cities. Hynde, 66, was chatty, talking about traveling along the Mississippi River earlier in the day and through Minneapolis’ Seward neighborhood. When a woman in front of the stage shouted that she was from Seward, Hynde engaged her in conversation. Turns out the fan left Seward because of a divorce. Later, the rocker started chatting with an overly exuberant, dancing fan named Ann. The star invited Ann onstage, asked her to sing harmony on the last notes of “Hymn to Her” and then kissed her on the lips. An overwhelmed Ann responded with a bear hug, a whisper in Hynde’s ear and a peck on Hynde’s cheek. It was precious. The Ohio-reared, England-based Hynde praised Minneapolis for being a great music town. She acknowledged Twin Cities keyboardist Ricky Peterson, saying he’d played with Prince, the Pretenders and Stevie Nicks. (When he toured in Nicks band a few years ago, he also sat in with the Pretenders, who were the opening act.) She dedicated “Back on the Chain Gang” to Peterson, the same dude who got a shoutout from Bonnie Raitt in concert last month at Xcel Energy Center. 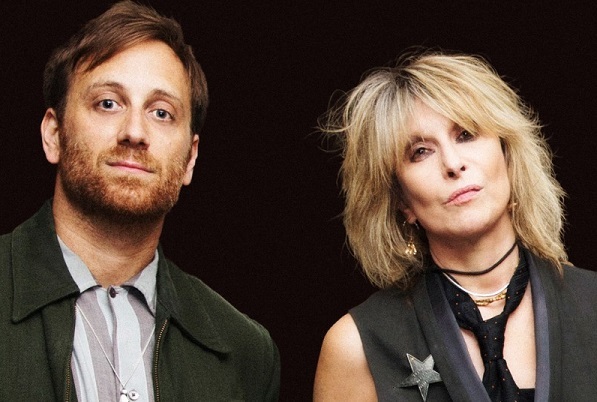 Longtime Pretenders fans might quarrel with Monday’s set list. The guy behind me was muttering that he wanted to hear “Mystery Achievement.” I might have put “Precious” and “Stop Your Sobbing” on the wish list, as well. The 95-minute set featured five songs from 2016’s “Alone,” the Pretenders’ first studio album in eight years. Hynde was the only band member featured on the recording, produced by Dan Auerbach with a bunch of studio players. The Pretenders kicked off the concert with two “Alone” tunes, the rocking title track and the stomping “Gotta Wait.” Then they slid into a familiar piece, the crisp, snarling “Kid” from their debut album. The set was well-paced, buoyed by cofounder Martin Chambers’ machine-gun drumming and 30-something James Walbourne’s concisely expressive guitar. He was chiming on “Back on the Chain Gang,” sweet on “Don’t Get Me Wrong,” full of brutal stabs on “My City Was Gone,” throbbing on “Cuban Slide,” slashing on “Bad Boys Get Spanked,” twangy on “Thumbelina,” fast and furious on “The Wait” and totally amped on “Down the Wrong Way,” a tune on which Neil Young played in the studio, Hynde reminded the faithful. Wearing a T-shirt emblazoned with “Don’t Pet Me I’m Working,” the singer rocked with swagger all night long, shaking her hips with cheeky panache during “Brass in Pocket,” her breakthrough single from '79. She showed some country instincts on the Dylanesque lullabye “Death Is Not Enough” and the talk-sing “I Hate Myself,” both selections from “Alone.” By contrast, her voice soared like a chart-topping power balladeer on 1994's “I’ll Stand By You,” the Pretenders' last big hit in North America. And I’ll stand by my assessment as this being Hynde’s best performance in the Twin Cities. The Rails, Walbourne’s acoustic folk-rock duo, opened the concert. He and his wife, Kami Thompson (daughter of Richard and Linda Thompson), came off as the Buckingham Nicks of England. Walbourne gave a shout-out to Twin Cities pickers Jim and Dave Boquist, with whom he’d played in Son Volt. How often does an opening act from across the pond know anything about Twin Cities musicians other than Prince?